The upcoming budget Realme 3 Pro has largely stayed under the radar, in terms of specifications and design of the handset. However, after the official launch date announcement from Realme last week, a lot of information regarding the phone’s internal components has been leaked. The new information comes courtesy of a Geekbench Bluetooth SIG listing spotted over the weekend. 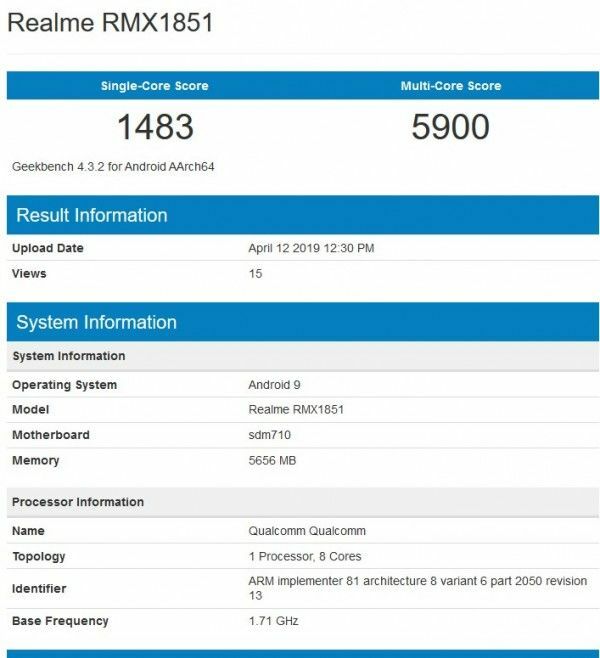 Both the Geekbench and Bluetooth SIG listings show a Realme device with model number “RMX1851” and specifications that likely belong to the upcoming Realme 3 Pro. Most importantly, the benchmark test has revealed the processor of the Realme device to be a Snapdragon 710 SoC, which is an upper-mid-range chipset launched last year. The Bluetooth SIG listing reveals the screen size of the handset to be a 6.3-inch FHD panel, a 3,960mAh battery, dual-band Wi-Fi (5GHz), and a fingerprint sensor. 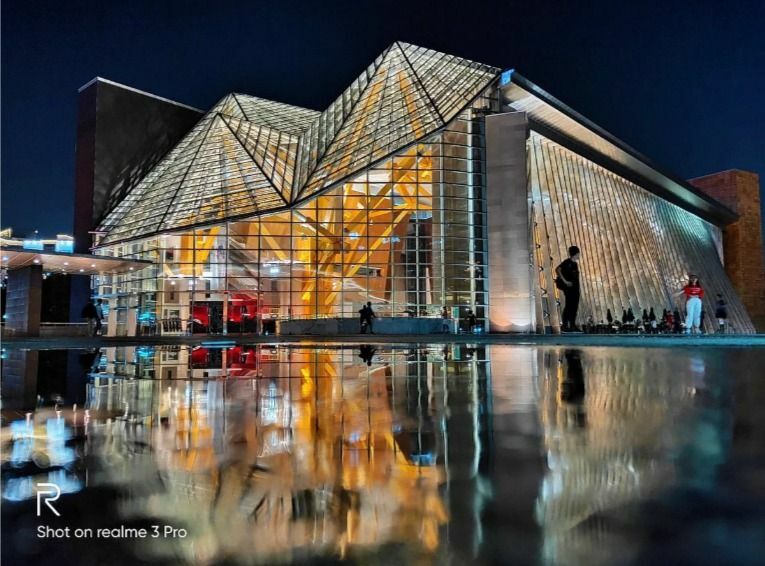 Moving over to official information, the latest is a night-time shot of the Shenzhen Concert Hall in China taken by the Realme 3 Pro shared by the company’s CEO. Now, other samples from the phone have also been shared previously but those were daylight scenarios. The shared image suggests the Realme 3 Pro will be able to have a good low-light performance, with relatively sharp footage and accurate colour reproduction. Based on leaked info, the Realme 3 Pro is expected to have a Sony IMX519 processor which is inside the OnePlus 6T. Realme India CEO Madhav Sheth just recently appeared on YouTube video channel Technical Guruji, where a very brief glimpse of the phone was shared with viewers. The official also revealed in the same video that Realme will unveil one more handset alongside the Realme 3 Pro. The launch is a week from now on April 22 at Delhi University Stadium in India.